‘Cambridge IGCSE First Language English is designed for learners whose first language is English. Cambridge IGCSE First Language English learners develop the ability to communicate clearly, accurately and effectively in both speech and writing. They learn how to employ a wide-ranging vocabulary, use correct grammar, spelling and punctuation, and develop a personal style and an awareness of the audience being addressed. Understand and respond to what they hear, read and experience. Communicate accurately, appropriately, confidently and effectively. Enjoy and appreciate a variety of language. Complement their ability to work with information and ideas in the other areas of study, for example, by developing skills of analysis, synthesis and the drawing of inferences. Promote personal development and an understanding of themselves and others. The two year course will prepare students for the IGCSE Cambridge – First Language English exam. The student sits two written exams at the end of the course. Your tutor will be available throughout your course to provide you with detailed feedback on your assignments and give you advice and encouragement throughout your course. 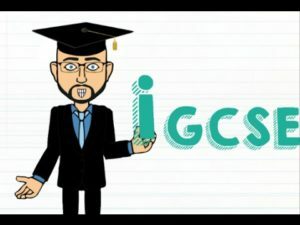 For more information contact us for our IGCSE Parent Packs. This unit will introduce you to the study of drama. It is an essential part of the IGCSE English Literature examination that you are able to read a play and apply your critical skills in establishing elements such as: plot and structure, setting, style, characterisation and other important themes. You will study two plays: ‘Romeo & Juliet’ by William Shakespeare and ‘An Inspector Calls’ by the 20th century dramatist J.B.Priestley. As in the Drama unit it is essential that you can read a novel and apply critical skills in establishing elements such as: plot and structure, setting, style, characterisation and other important themes. You will study two novels: ‘Of Mice and Men’ by John Steinbeck and ‘To kill a Mockingbird’ by Harper Lee. Poetry is a form of literary expression that is more condensed and stylised than prose or drama. In this unit of the course you will read a selection of poems and learn how to apply your critical skills in establishing elements such as: rhyme, repetition, alliteration, imagery, metaphor and other important poetic devices. The course will prepare students for the Edexcel IGCSE English Literature (4ET1). There are two written exams at the end of the course. Your tutor will be available throughout your course to provide you with detailed feedback on your assignments, and to offer advice and encouragement throughout your course.